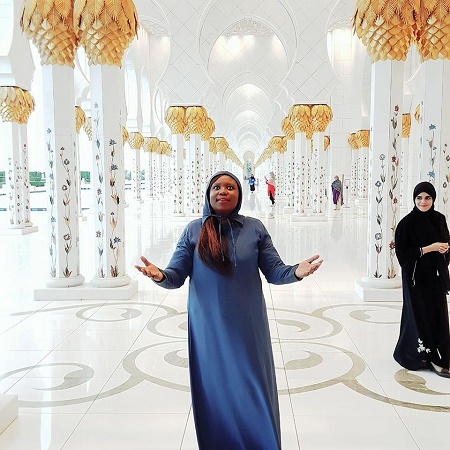 A Nigerian girl from a christian home has expressed joy after visiting the Sheikh Zayed Grand Mosque in Abu Dhabi, United Arab Emirates (UAE). 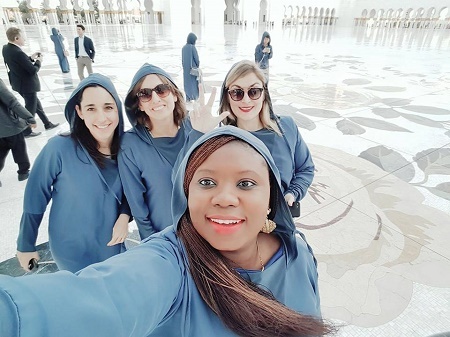 A Christian girl from Nigeria has shared her touching experience after paying a visit to the Sheikh Zayed Grand Mosque in Abu Dhabi, United Arab Emirates (UAE). The girl urged fellow Nigerians to readjust their orientation and refuse to allow fanaticism to blind their eyes from accepting other people and their religion. 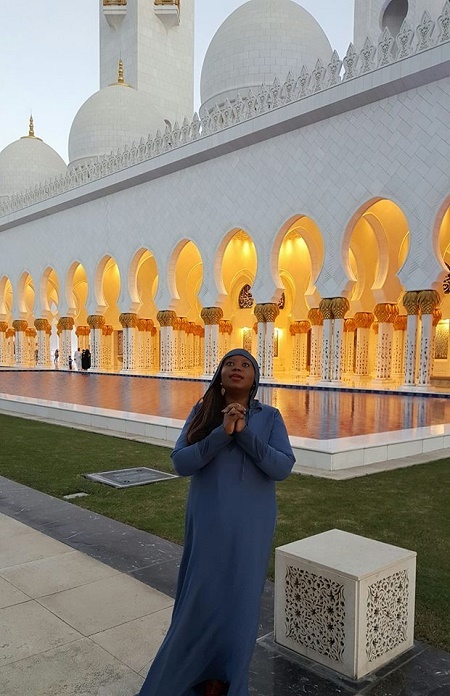 Toyosi Akerele-Ogunsiji visited the mosque for an event with her colleagues from Harvard. According to her, institutionalized religion has affected Nigeria badly that they look at other religions with a very bad eye while forgetting that we all serve the same God whether as Christians or Muslims. "1Chronicles 4:10 - "Oh Lord, that you would bless me and enlarge my territory! Let your hand be with me, and keep me from harm so that I will be free from pain." That you will give the Leaders of my Country the vision of leadership, the commitment to be upright and the understanding that Political Leadership is not rocket science. Let me say this - A Nation that uses her resources for the good of the land and the people MUST prosper. This is physical as much as it is spiritual. There's too much bloodshed, inequality, corruption and unintentional grandstanding against the Poor, ordinary and downtrodden in Nigeria. That's why we are where we are. God will not give us more till we use what we have. BAD LEADERSHIP IS OUR CURSE. We fix that, everything will fall in line. As a Christian, "Lifting Up my eyes to the Hills" in a Mosque felt quite unusual but then, my orientation and personal belief is that Institutionalised Religion keeps one a fugitive and that we all serve the same God whether as Christians or Muslims. Life is Simple, it's we human beings that make it complicated. The more we learn to live together, the more we're all at peace individually with God. Anyway, this is still part of our Government Innovation and Public Policy Field Trip and I'm now more depressed than I was initially thrilled. I mean, Nigeria is so rich yet our people are so poor. I now see what the UAE has been doing differently. I'll share more of my findings shortly. Let's see if I can create a simple, smart, workable blueprint for each Sector. I'll give you an analysis of how this beautiful Mosque embodies the history of the Emirates tomorrow." she wrote.